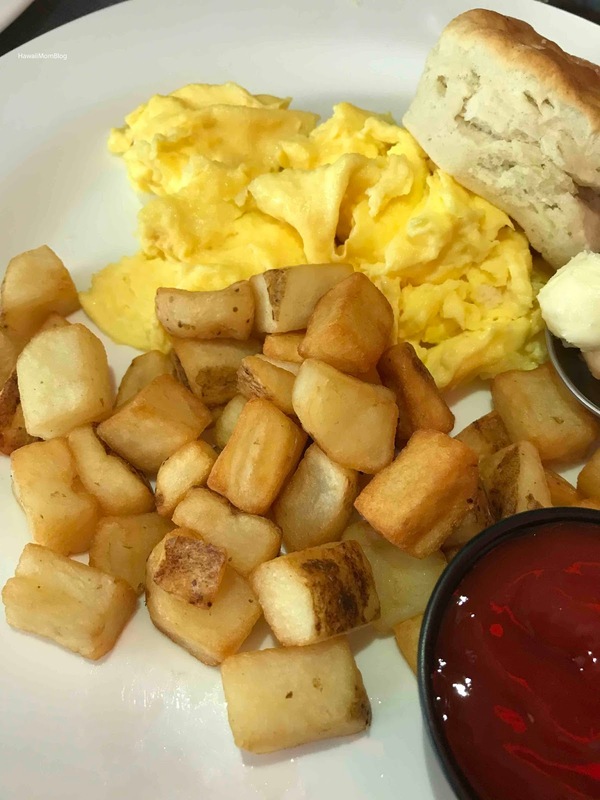 Prior to catching our flight back home to Honolulu, we ate breakfast at AeroNuova / Piazza Breakfast. Upon arriving a hostess/host will ask you when your flight departs. I should have told her a time earlier than our actual flight departure, because service was extremely slow. The Eggs Any Style came with Home Fries and a Biscuit. 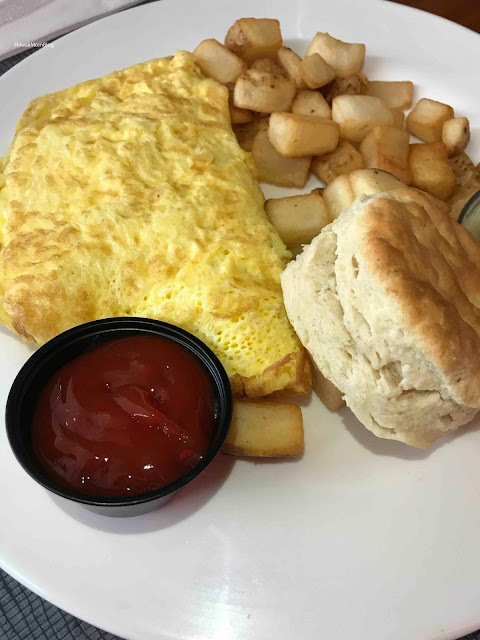 For the Build Your Own Omelette, you can choose up to three fillings. 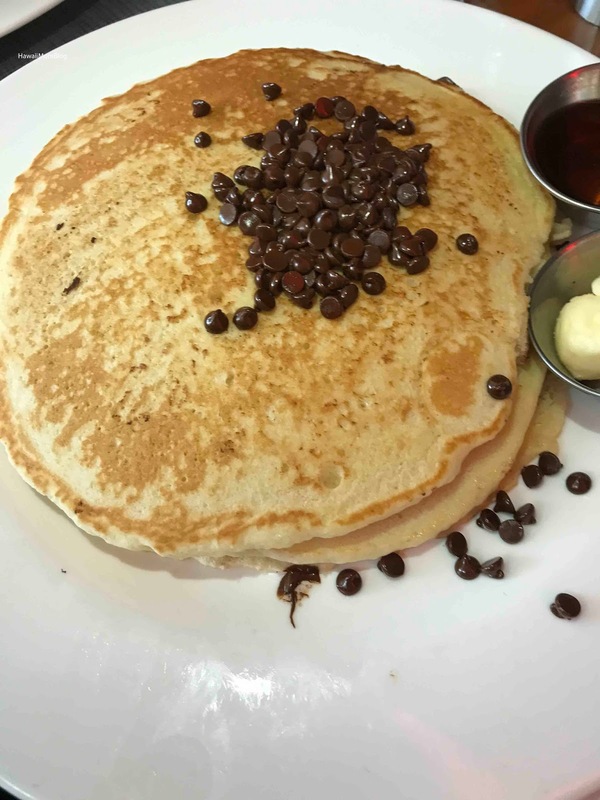 The Chocolate Chip Pancakes were pretty much just pancakes with chocolate chips thrown on them. Prices were high, as expected, and although the food was satisfying, I'd probably eat elsewhere next time I'm a JFK.